By Thomas Boston. 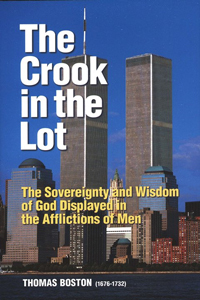 When calamity and disaster strike as it did on September 11th, 2001, many people begin to ask, ""Where is God?"" and ""Why did God allow this to happen?"" These are the very questions that Thomas Boston addresses in this timeless book. As one of Scotland's greatest preachers, he provides valuable insight into the sovereignty and wisdom of God as it is displayed in the afflictions of men. In his approach to this difficult subject, he is both theologically precise and pastorally tender. Boston brings God right into the mix of even the most disastrous events and shows how He is actively involved in both the events and their resolution. This edition includes an introduction and a study guide to maximize the impact of this classic work.